An amazing historical document from a bygone era. 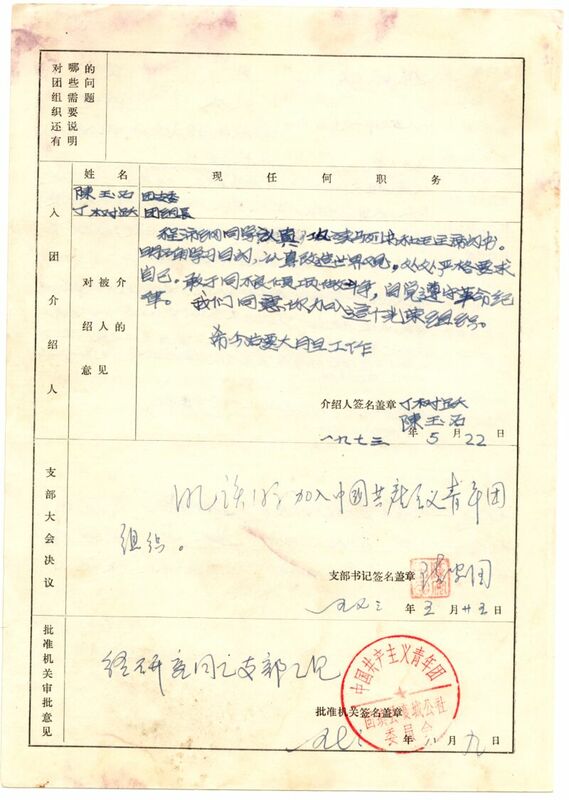 In 1973, a Mr. Cheng applied to join the Communist Youth League of China. At the tender age of 15 he was no only evaluated on his own merits, but those of his immediate and extended family. To reinforce the working class roots of his family, he classified his family as not just farmers, but poor farmers. He stated that his father had never joined any reactionary organizations. His mother, brother, and sister-in-law had clean personal political records, as did his grandparents and uncles. In China, family associations and wealth counted for a great deal. 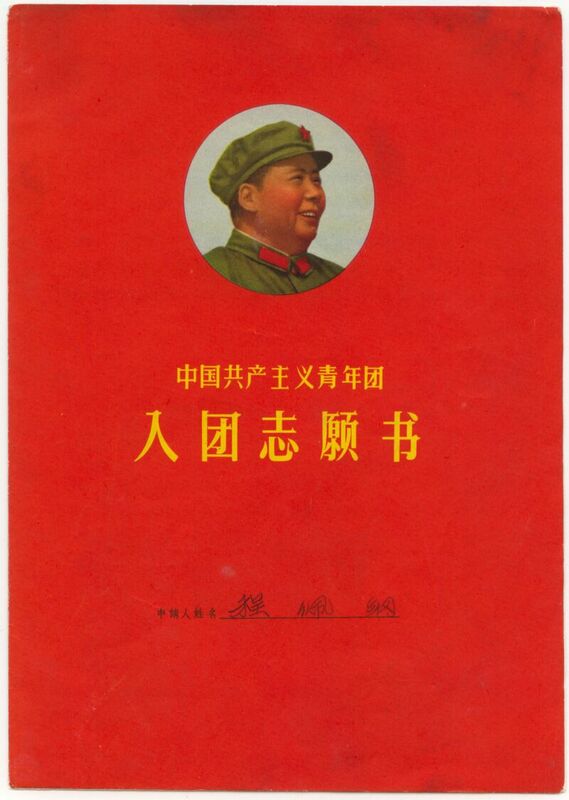 If Mr. Cheng's application details are to be believed, he was the idea candidate – poor and with a basic education and willing to follow Chairman Mao without reservation. 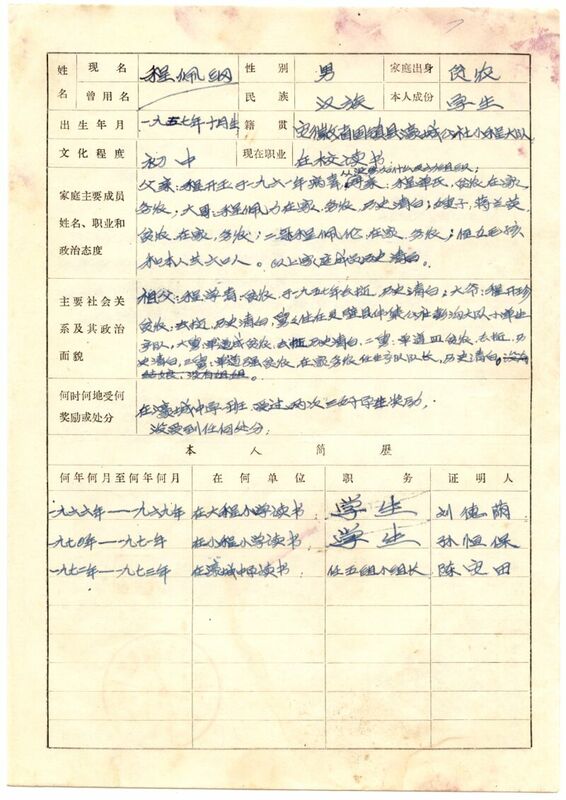 Mr. Chang's personal essay and family background was enough to win approval for his application, which received the official red chop of the Communist Youth League in August 1973. This application booklet has maintained the bold red color on the cover and the inside pages have aged nicely and are not torn or brittle. There is an additional page that Mr. Chang enclosed with his application that is not standard. The booklet has 4 inside pages and is 26 cm (10.25 inches) x 18.5 cm (7.25 inches). A full translation is available to the buyer.